Two scientists, Francois Englert of Belgium and Peter Higgs of the UK, were awarded the 2013 Nobel Prize for physics Tuesday for their discovery of the so-called "God particle." Otherwise known as the Higgs boson, the theoretical particle is said to have caused the "Big Bang" that created our entire world. The Higgs boson was originally posited back in 1964 by a group of scientists, but, because of its extreme instability — it collapses into smaller particles almost as soon as it's created — physicists weren't able to make the particle themselves, and had to instead infer its existence from the smaller particles created when it would break apart. And (as simple as that sounds!) the equipment powerful enough to smash particles together has only been around for the last few years: meet Switzerland's$10 billion Large Hadron Collider. It was only in March of this year that a group of scientists from the European Organization for Nuclear Research (CERN) were able to finally confirm the existence of the Higgs boson using the LHC. So what exactly is the Higgs boson? Well, if you can remember any of your high school physics, all things are made of atoms, which are in turn made of electrons, protons and neutrons, and those are made of subatomic particles. But the question has always been how these infinitesimally tiny particles actually acquire mass — without mass, the particles wouldn't stick together; without mass, there'd be no matter. The Higgs boson proves the existence of Higgs Field, a sort of sticky field that joins everything and explains how particles interact with each other. 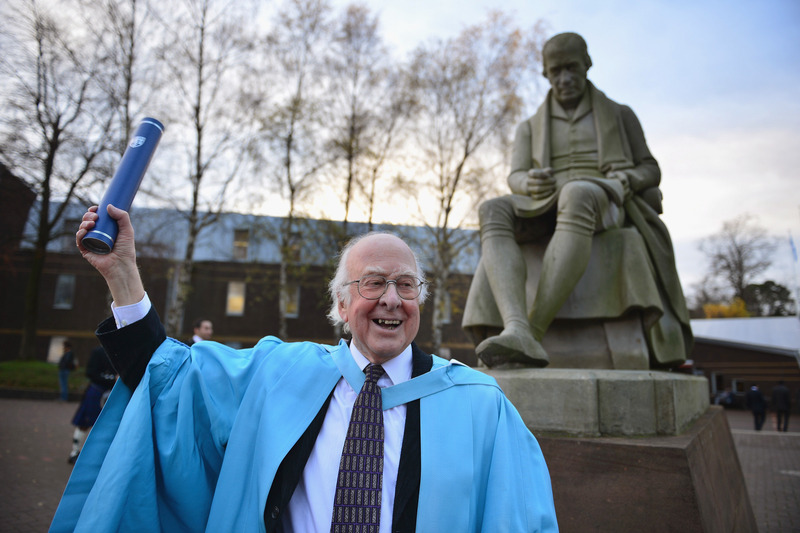 Higgs, speaking last year at the University of Edinburgh (where he was professor for over thirty years), said he didn't expect the boson to be found in his lifetime. Does that mean the work of physicists across the world is done? Yeah, no. At least 96 percent of the universe remains a mystery.